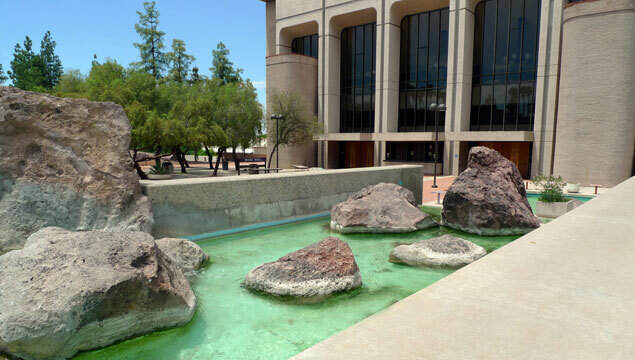 A native of Alameda, California, Eckbo entered the Department of Landscape Architecture at Harvard University’s Graduate School of Design in 1936. Disenchanted with the traditional landscape curriculum taught at Harvard, Eckbo pursued architecture classes with Walter Gropius and began to define his Modernist theory based on a multidisciplinary design approach, with landscape design as a vehicle for social change. Publication of his master’s thesis project, "Contempoville", as well as “Small Gardens in the City” in Pencil Points (September 1937) brought recognition. Together with classmates Dan Kiley and James Rose, Eckbo produced “Landscape Design in the Urban Environment”, “Landscape Design in the Rural Environment,” and “Landscape Design in the Primeval Environment” (Pencil Points, now Progressive Architecture, 1938-1939). His numerous books include Landscape for Living (1950), defining the modern landscape architecture discipline, and People in a Landscape (2000), championing landscape design as an agent of social change. 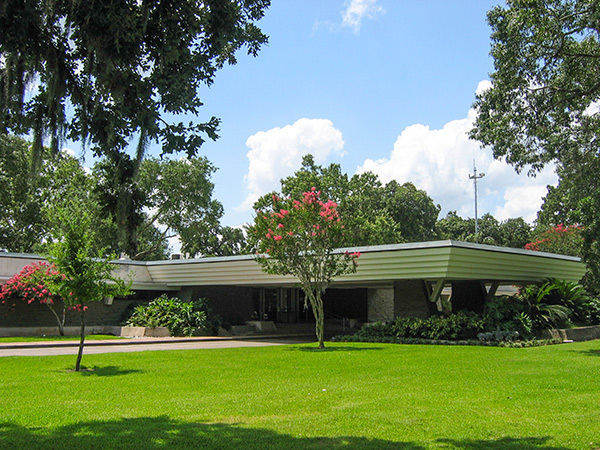 Eckbo’s significant design contributions include a prototypical housing project for the U.S. Housing Authority, migrant-worker camps for the Farm Security Administration, the 1959 Forecast Garden for the Aluminum Company of America, and the formation of Eckbo, Dean, Austin and Williams, later known as EDAW. 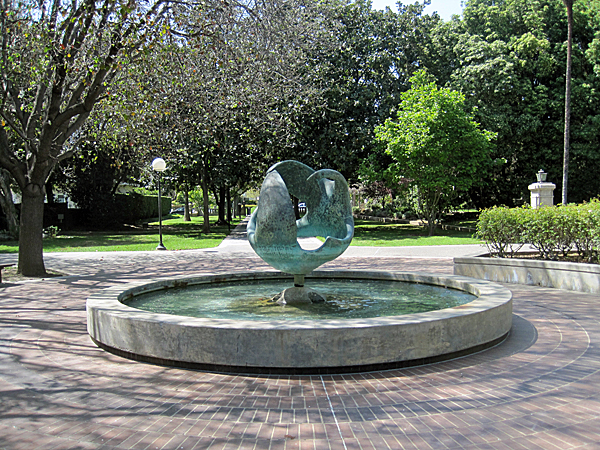 Eckbo served as the head the Department of Landscape Architecture at Berkeley from 1969 to 1975 and received the Medal of Honor from the American Society of Landscape Architects in 1975. Although born in Cooperstown, New York, to Theodora Munn and Axel Eckbo on November 28, 1910, Garrett Eckbo identified with California. In 1912, following his parents’ divorce, he moved with his mother to Alameda, east of San Francisco, where he grew up with very limited social opportunities. Prospects improved in 1929 with a six-month visit to a wealthy and enterprising paternal uncle in Oslo, Norway, spurring young Eckbo’s ambition to pursue a higher education. After a year at Marin Junior College, Eckbo entered the Division of Landscape Design and Floriculture at the University of California at Berkeley, in the fall of 1932. He later credited Professor H. Leland Vaughan, a former student of Thomas D. Church at Ohio State University, as being influential in his professional development. Vaughan and the Great Depression years impressed Berkeley landscape students with the need for pragmatic and reductive design, even though their projects rarely strayed from adaptations of historical styles, as witnessed in Eckbo’s 1934 design entitled, Estate in the Manner of Louis XIV. Upon graduating in June 1935, Eckbo moved south. Employed by Armstrong Nurseries in Ontario, California, for a year, he produced approximately one hundred garden plans and acquired a wide knowledge of southern California plants. A scholarship to Harvard University’s Graduate School of Design allowed him to move beyond the service industry. 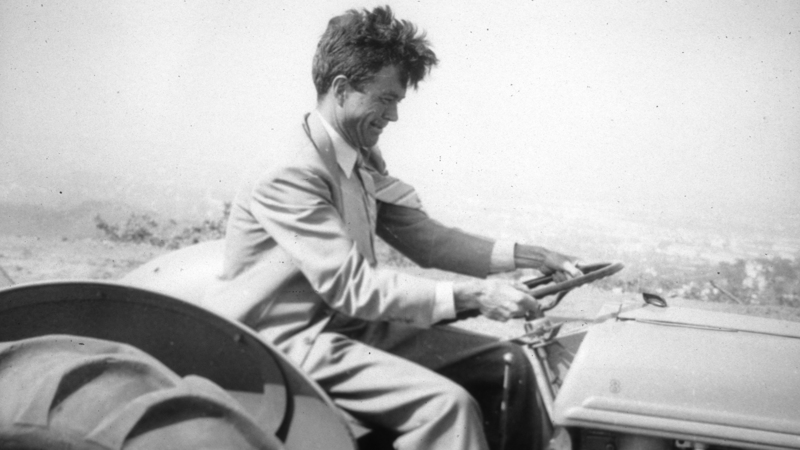 In the fall of 1936, Eckbo drove east to enroll in the Department of Landscape Architecture. 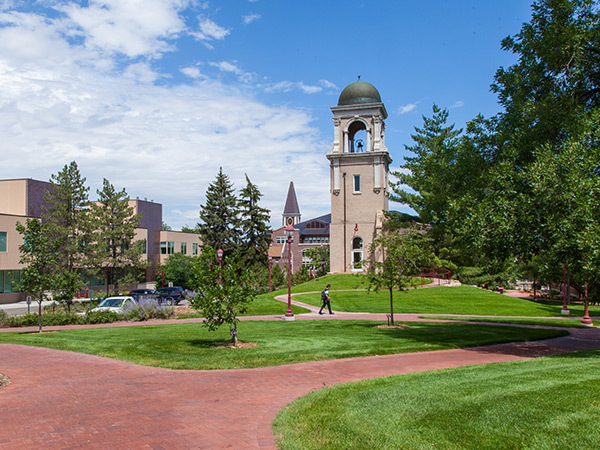 Soon disillusioned with the school’s traditional curriculum, Eckbo questioned the legacy of Frederick Law Olmsted and the program’s reliance on Henry V. Hubbard and Theodora Kimball’s Introduction to the Study of Landscape Design, a textbook which he condemned as formulaic and overly aesthetic. While the landscape department conformed to a Beaux-Arts tradition and the formal/informal dialectic, the architecture department at Harvard was undergoing a complete transformation under the leadership of Walter Gropius, who had joined the faculty in 1937. 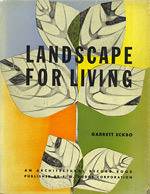 Eckbo began to define his own Modernist theory by establishing connections among landscape design, architecture, and art. He collaborated with architecture students on projects such as a recreation center and park in underprivileged South Boston. He announced his beliefs that “what is good for the rich is good for the poor,” and that design required a multidisciplinary approach. He further explored the relationships between private gardens and public space, and urban and suburban design, in both his master’s thesis project, Contempoville — a superblock with a central common — and “Small Gardens in the City.” The publication of the latter in the architectural periodical Pencil Points in September 1937 brought him notoriety at home and abroad. Eckbo quickly understood the necessity of advancing his ideas in writing. He joined forces with fellow students and Modernism champions Dan Kiley and James Rose to produce the three-part seminal text “Landscape Design in the Urban Environment,” “Landscape Design in the Rural Environment,” and “Landscape Design in the Primeval Environment” which appeared in Architectural Record in May and August 1939 and February 1940, respectively. 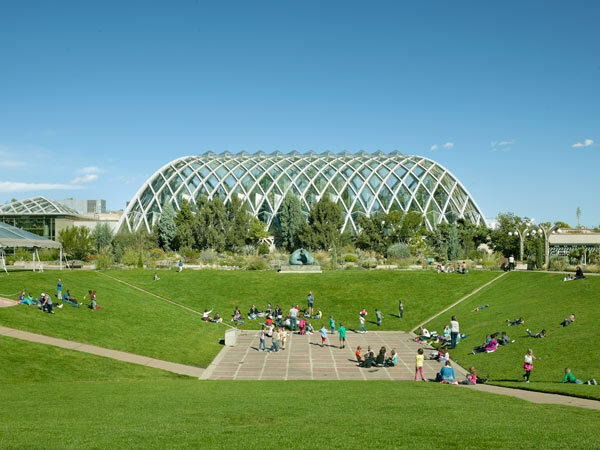 These articles argued for collaborative, cohesive design and planning, from city garden to natural preserve, stressing the interdependency of such environments. On September 19, 1937, he married Arline Williams, the sister of his future business partner. Having received of Master in Landscape Architecture degree in 1938, Eckbo took a series of project-based jobs, each lasting six weeks. He worked on the Federal Building for the 1939 Golden Gate International Exposition at the office of Kastner and Berla in Washington, D.C. While in Washington, Eckbo designed prototypical open spaces for housing projects at the request of Frederick Gutheim of the United States Housing Authority. In addition, he conceived several unbuilt landscape schemes for Norman Bel Geddes’ General Motors pavilion at the 1939 World’s Fair in New York. Having returned to California, Eckbo worked for the San Francisco office of the New Deal’s Farm Security Administration from 1939 to 1942, where he designed environments for migrant-worker camps across the valleys of California, Washington, and Texas. Collaborating with architects Vernon DeMars and Burton Cairns and landscape architect Francis Violich, Eckbo would further his spatial explorations and provide shelter at the human scale within the expansive agricultural landscape. At Tulare and Ceres, in the San Joaquin Valley, his grand and richly varied planting schemes offered shade, wind protection, and a sense of place for a transient population. With the same group of designers, Eckbo founded Telesis, an organization that focused on the impact of development in the Bay Area. From 1942 to 1945, he participated in the World War II effort by contributing landscape designs for defense housing in the San Francisco region. In the post-war era, Eckbo founded a firm with Robert Royston and Edward Williams. Eckbo Royston and Williams soon expanded their scope of work from residential gardens to suburban parks (the 1949 Standard Oil Rod and Gun Club in Richmond and 1957 Mitchell Park in Palo Alto) and planned communities (Ladera on the San Francisco Peninsula). 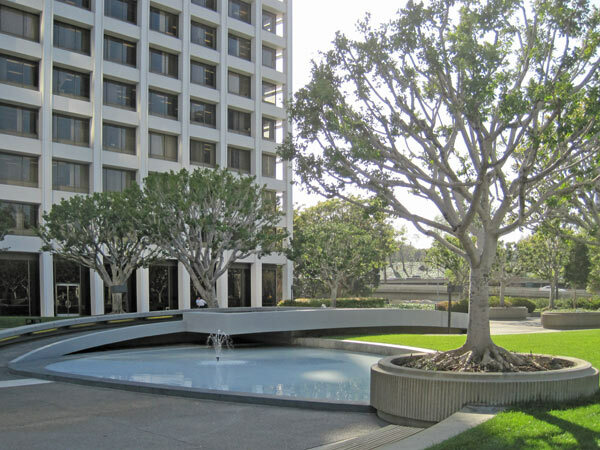 From 1946, Eckbo headed the firm in the Los Angeles area with the assistance of Francis Dean. The early years were marked by a multitude of garden designs for the wealthy and the more modest, and by collaborations with Modernist architects on several developments. 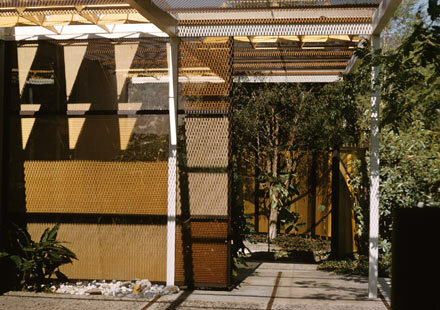 His unbuilt 1946 to 1949 design for Community Homes in Reseda remains exemplary in its sophisticated use of vegetation as a tool for structuring neighborhoods. 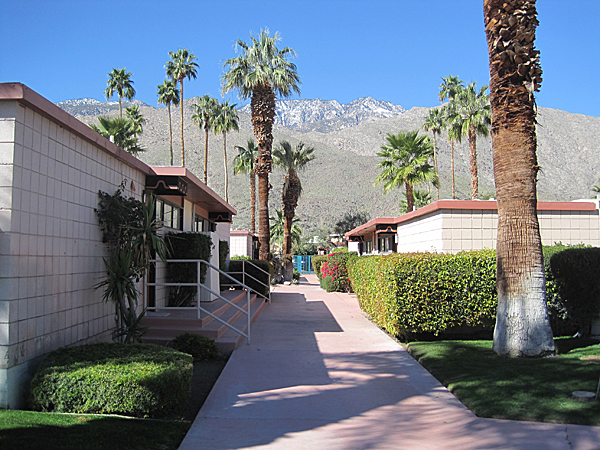 Other designs included the semi-urban Park Planned Homes from 1946 to 1947; Mar Vista Housing in 1948; both with Gregory Ain; and the dramatically canyon-sited Crestwood Hills in 1948 and Wonderland Park in 1950. In 1950, Eckbo coalesced his ideas in Landscape for Living, defining the modern discipline of landscape architecture for his professional peers and a broader readership. A quintessential twentieth-century text in a field that has shied away from theory, Landscape for Living stands apart with Christopher Tunnard’s Gardens in the Modern Landscape (1938, 1948) and Ian McHarg’s Design with Nature (1969) as remarkable attempts to define the field in relation to planning and the environment. Eckbo illustrated its theory, defined as “a generalization of social experience,” with his own projects and those of the firm. He reiterated the call for an organized and planned landscape, from garden to nature, a designed landscape that would stress the relations between human and land without apologizing for the human presence. Eckbo continued to balance design and writing in his mature years. He taught in the School of Architecture at the University of Southern California from 1948 to 1956. His widely publicized 1956 to 1959 Forecast Garden, commissioned by the Aluminum Company of America, tested aluminum as a spatial and decorative force in landscape design. The year 1956 also saw the publication of The Art of Home Landscaping, a garden and site planning manual aimed at a popular audience. 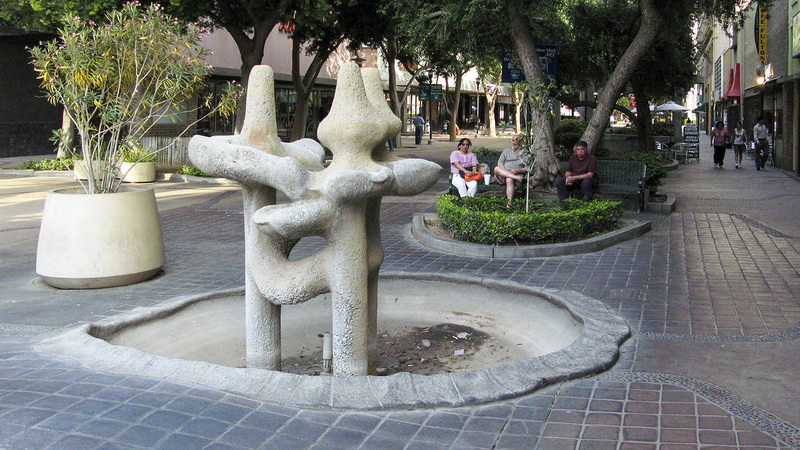 Eckbo’s innovative design for the pedestrian blocks of the Fulton Street Mall in Fresno, developed with Victor Gruen in the early 1960s, proposed an urban alternative to shopping centers. 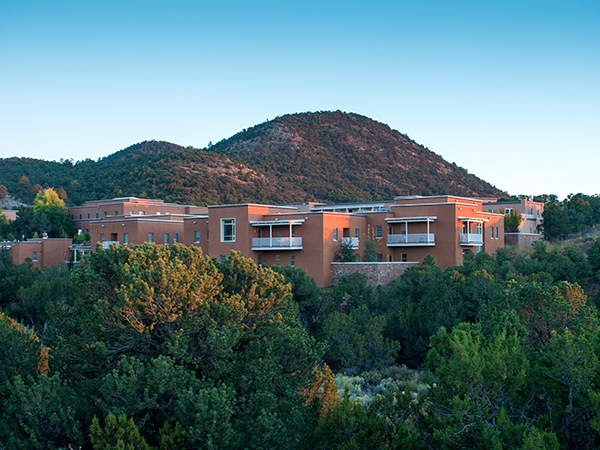 In 1962, Eckbo began a twenty-year design and planning process for the University of New Mexico at Albuquerque. He published Urban Landscape Design in 1964 and The Landscape We See in 1969. His firm continued to evolve as well. 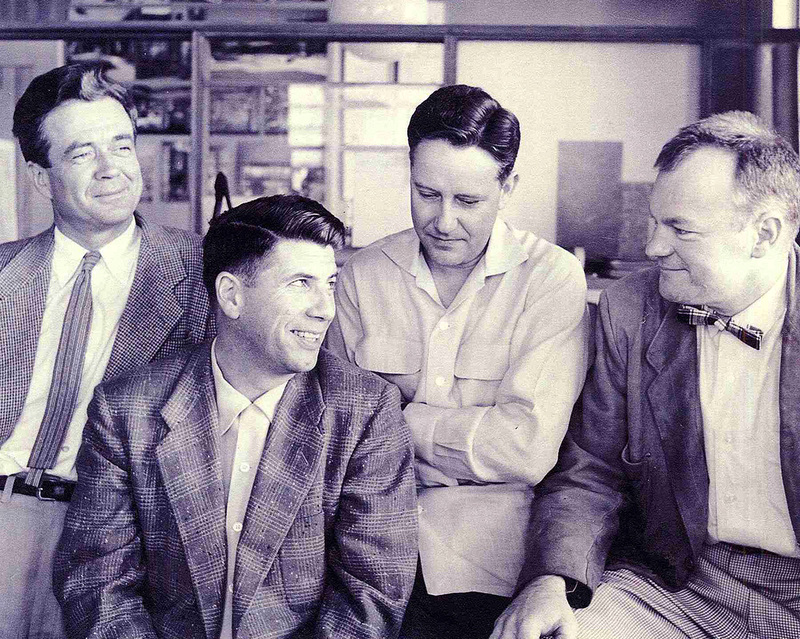 In 1958, Eckbo Royston and Williams divided into Royston Hanamoto and Mayes, and Eckbo Dean and Williams. In 1964, Donald Austin became a partner and the firm was recast as Eckbo, Dean, Austin and Williams, later known as EDAW. Ultimately, the laboratory for progressive landscape design with a focus on the relationship between individual and community grew into a multinational planning corporation. 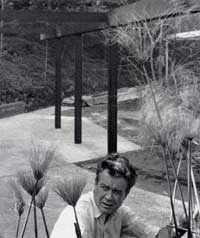 Eckbo returned to the San Francisco Bay Area in 1963 to head the Department of Landscape Architecture at Berkeley until 1969. He received the Medal of Honor from the American Society of Landscape Architects in 1975; he retired as Professor Emeritus in 1978, and left EDAW a year later. In an attempt to start anew, Eckbo formed Eckbo Kay Associates with Kenneth Kay in 1979 with whom he collaborated until 1983. During the final years of practice, Garrett Eckbo and Associates addressed the scales of planning and garden design, having come full circle. His involvement in writing and debating the state and future of landscape architecture never abated. Eckbo still believed in landscape design as an agent of societal change, publishing People in the Landscape two years before his death on May 14, 2000, in Oakland, California. Eckbo, Garrett. Landscape for Living. [New York]: Architectural Record with F.W. Dodge Corporation, 1950. Eckbo, Garrett. Urban Landscape Design. New York: McGraw Hill, 1964. Treib, Marc and Dorothée Imbert. Garrett Eckbo Modern Landscapes for Living. Berkeley, California: University of California Press, 1997. Garrett Eckbo Collection. Environmental Design Archives. University of California, Berkeley.